Starting my college career, I made a goal for myself. This goal was to graduate in four years. No shorter and no longer. 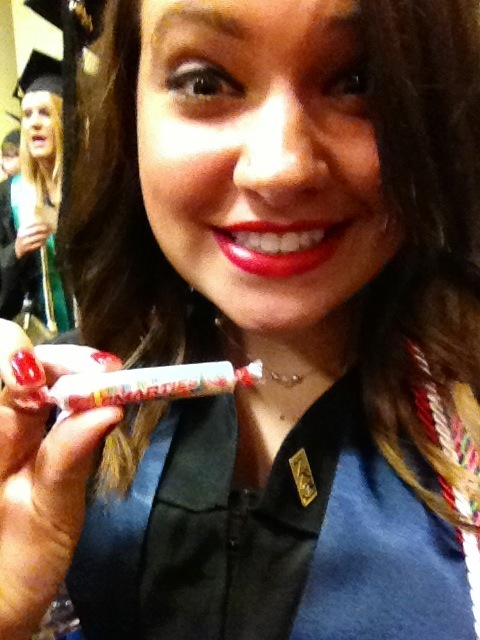 Four quick years later, I found myself in the Bank of Kentucky Center (BOK) in a black gown with my decorated cap, receiving not only my diploma but my last pack of Smarties from Dr. Proctor. I had completed my goal with some accomplishments along the way. Walking into the BOK a handful of emotions washed over me. I was excited, nervous, proud, curious, and a few other extra emotions due to some personal issues that had occurred earlier that week. First of all, the life I had known for the past four years was coming to an end.How could I not feel a mix of emotions? I was ready to start my career and dedicate my time to real life experience all the time, but I knew I'd miss the people, the events, the student-involvement, and of course PRSSA. College graduation was a bit different from High School graduation...which, it should be! First of all, there was no rehearsal like I had back in High School. And I must say, that is where some of my nervousness stemmed from. What was I supposed to do?! However, there was really nothing to worry about. We got in line by our college in alphabetical order and followed the rest of the line. Easy enough. My graduation experience was a little different from most. I had a mission to accomplish on my trek across the stage. I was lucky enough to be chosen as the guest tweeter for @nkuedu. 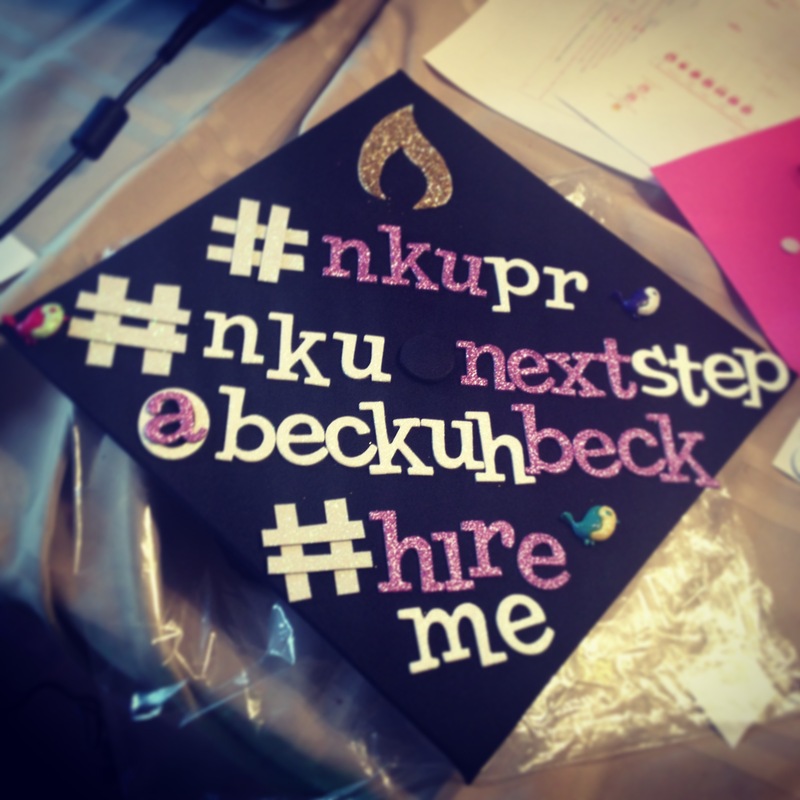 I tweeted about my senior experiences and threw in some advice along the way, using the hash tag #NKUnextStep. 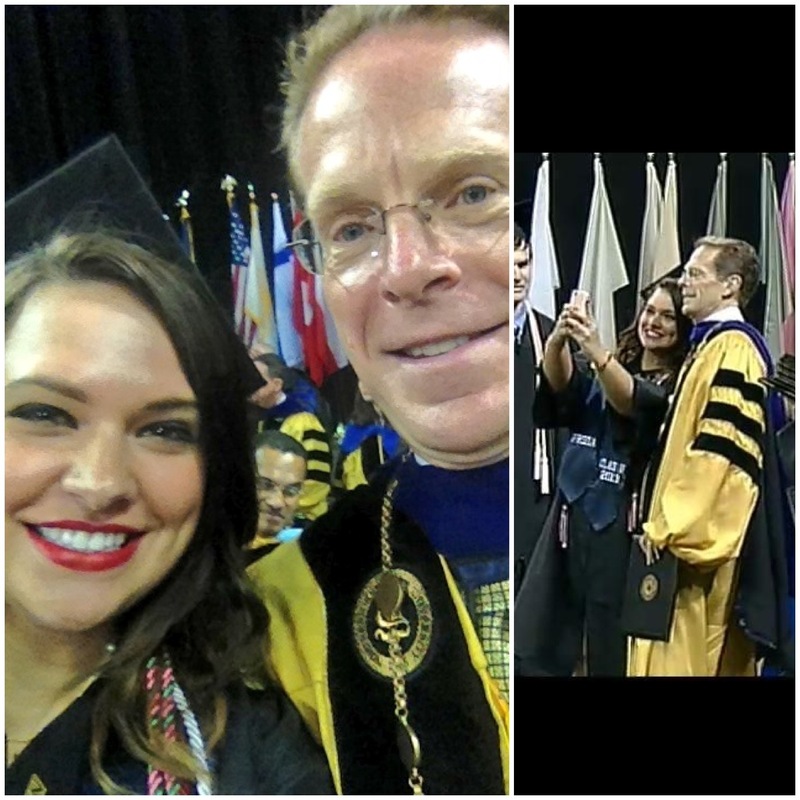 Because I was the guest tweeter and just about everyone knows my love for Twitter, the NKU Communication/Marketing Department made a plan to have me take a selfie with the University President, President Mearns, when I went to shake his hand! I was a bit nervous. What if he didn't know about this plan? What if he forgot? Does he know what a selfie is? Whether he actually knew about the plan...I'm not too sure. However, he went along with it and I got the photo! Onlookers were both confused and not-so surprised. I received comments saying, "Of course you'd take a selfie with the President!" , "Only you would take a selfie with the President!" 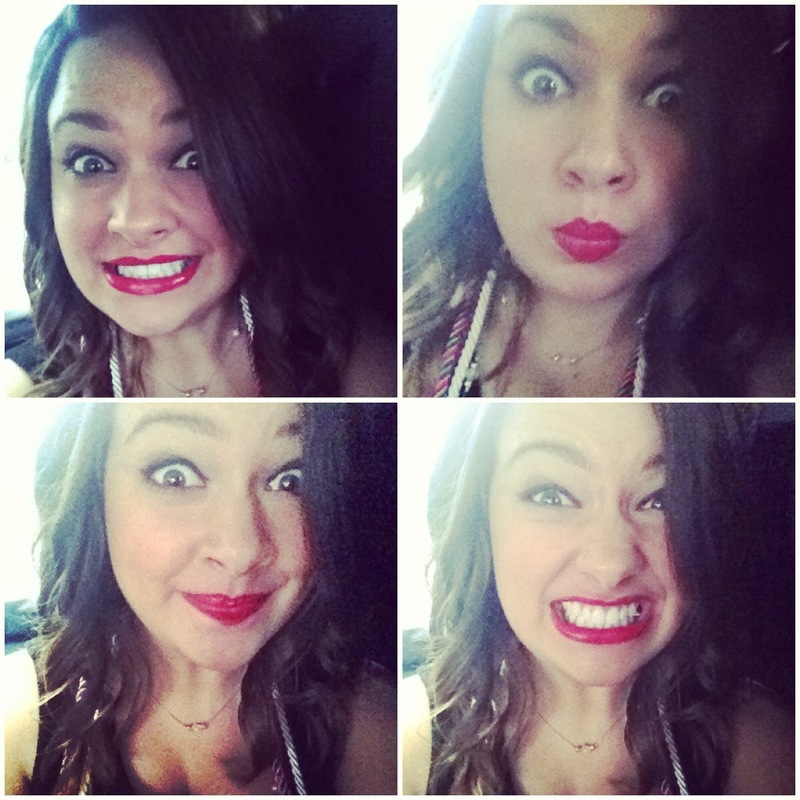 , "My dad was wondering why that girl took a selfie" , or "She held up the line!" . Oh, boo-hoo! Take your time walking across that stage! It took us years to cross it and its over in seconds! I'm glad I held up the line for maybe a second. It made my walk memorable. Since I had to take a Selfie on stage, I had to take my phone. I was also supposed to tweet throughout commencement, which I did. I had wondered if people would think I was rude for using my phone throughout, however just about everyone in the College of Informatics had their phones out! Leave it to all of my PR peers to be live-tweeting the ceremony, as well. We just can't put down our phones! Onto more of the ceremony... Who needs Morgan Freeman's voice to narrate when you have Dave Thomson? His reading of the Gettysburg address was quite intense! To be honest, I felt like I was at Hogwarts getting ready to be sorted into a house. I guess I was sorted; sorted into the House of Life. Whether you took a selfie with the President or you did a leprechaun leap for joy after you received your diploma...I hope your graduation day was special. We all work hard to make it to graduation; to receive our degrees. So, Congratulations! Instead of studying for exams and homework assignments, we have real jobs to worry about. I couldn't be more excited!